In 2012, Most Reverend Francis X. DiLorenzo, Bishop of the Diocese of Richmond, joined the Korean Martyrs Catholic Community with St. Rose of Lima Catholic Church to form a unified parish in Hampton, Virginia. This occasion coincided with a major interior renovation of the existing church, guided by pastor Father Simon Ahn, and inspired the design that serves to celebrate the unification of diverse traditions as one family in faith. 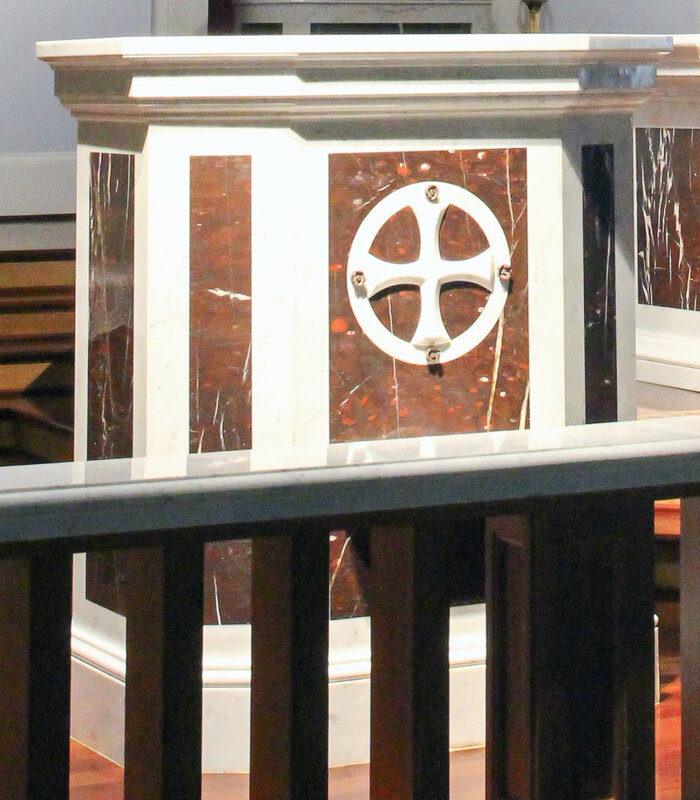 This church renovation in Virginia features the installation of new liturgical furnishings including a new altar, ambo, tabernacle, font, and rail, each designed by O’Brien & Keane and fabricated in Carrara, Italy. All decorative finishes within the sanctuary, nave, and chapel were replaced, and the sacristies and confessionals were remodeled and refinished. The new design also incorporated the replacement of the roof, HVAC, and electrical lighting systems.